Next to the Christmas tree, the poinsettia is probably the second most widely associated flora with the Christmas season because of its beautiful red and green coloration as well as its historic use for purity in ancient Aztec religious ceremonies. In fact, its scientific name, Euphorbia pulcherrima, was initially assigned because it translates to "very beautiful." 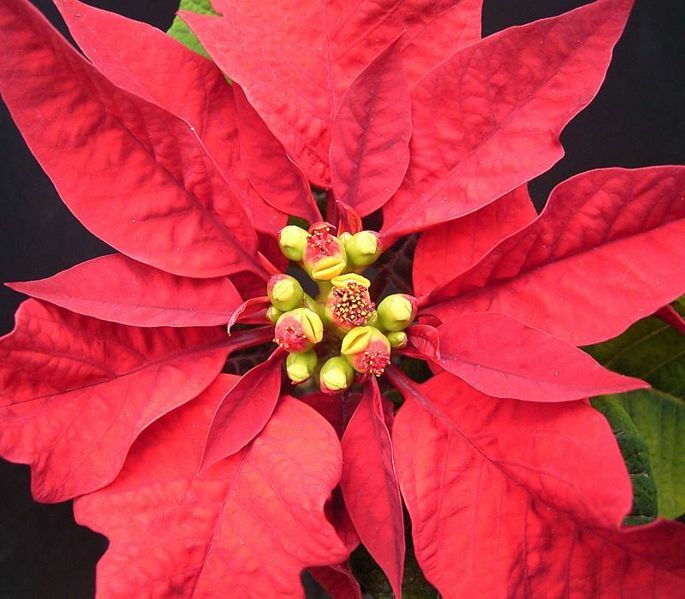 For these reasons, Euphorbia pulcherrima, the poinsettia is commonly referred to as "the Christmas flower" and is seen extensively in stores, homes, and churches during the holidays. 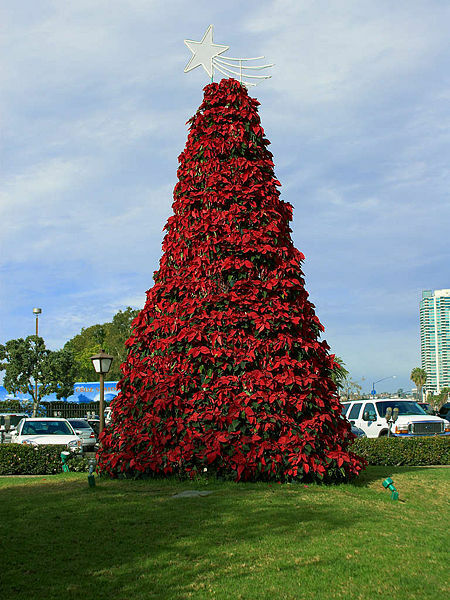 Additionally, the poinsettia is the most frequently potted houseplant in the United States. As popular as this plant is however, many characteristics about and concerning the poinsettia are relatively unknown to many people. For example, the poinsettia's flowers are actually the small, green, cup-like structures called cyathia which reside in the center of the red bracts (modified leaves) that are traditionally thought to be the flower. Hopefully with the help of my website you will learn a bit more about this organism and come to appreciate its true beauty.